With time and experience, I've come to realize that the best skincare products are often the most simple, as long as they contain the right ingredients, the ones that provide proven results. This is exactly what OZ Naturals Vitamin C Serum is about: a short list of ingredients, limited to a handful of substances for which anti-aging efficacy has been demonstrated, without fillers or vodoo-like incantations needed to make it work. The serum contains 20% vitamin C, a fairly high concentration of this potent anti-oxidant which is known to encourage collagen production, diminish dark spots and improve skin texure. One powerful ingredient is great but often not enough to provide visible results, and OZ Naturals added a mix of other anti-oxidants and moisturizing substances that will work in synergy with the vitamin C. These supporting actors include hyaluronic acid, a powerful moisturizer, a blend of amino acids, that help nourish and repair skin cells, and a bunch of other anti-oxidants (vitamin E, ferulic acid...). Here's the full list of ingredients: OrganicHerbal Infusion, Organic Aloe, Vitamin C (Sodium Ascorbyl Phosphate), MSM, botanical hyaluronic acid, Witch Hazel, Kosher Vegetable Glycerin, Carbomer, (2s)-2-Amino-5-guanidinopentanoic Acid, Kosher Vegetable Glycerin, Organic Jojoba Oil, Phenoxyethanol, Ethyl Hexyl Glycerin. Anti-oxidants are fragile and can be degraded by light and air. 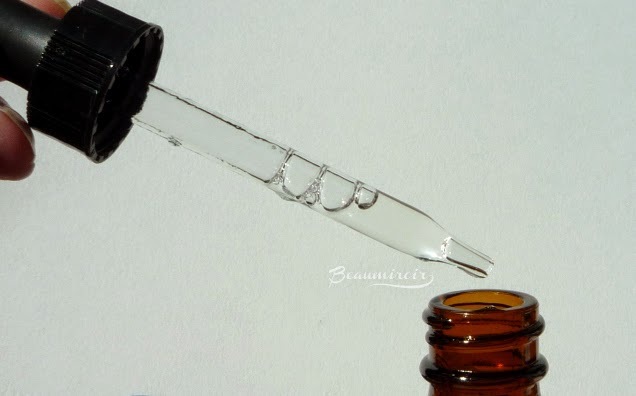 The brown tinted glass bottle includes a dropper and should be sufficient to protect the serum qualities as long as you're careful to tighten the cap after use and finish it within a few months. The dropper also allows you to precisely control the amount you use, so that you're applying the same quantity every day. I find that 6 drops is the perfect amount to apply to my face, neck and décolleté area. 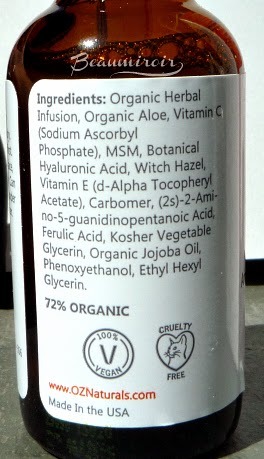 The Vitamin C Serum is vegan, cruelty-free and 72% organic. It's also made in the USA. 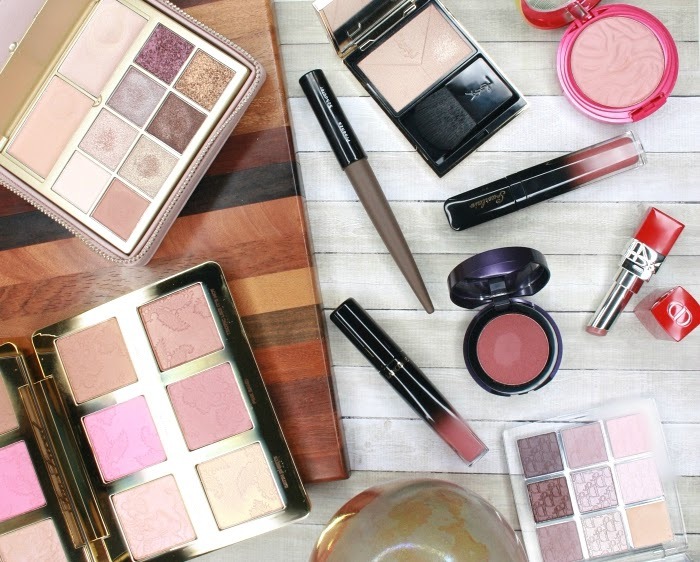 All good news if you're careful about what you put on your face! The serum itself is very fluid, just a little heavier than a liquid, and it's also fragrance-free. For me, the easiest way to apply it is to get those 6 drops in the palm of my hand, then rub my hands together quickly to spread the serum on them, press my hands gently on my face/neck/décolleté and finish with wide swiping movements. I try to insist on the contour of my face around the chin and jawline, because this is where I started to see a lack of firmness. It penetrates and dries really fast, and I follow with a moisturizer containing a broad spectrum SPF - as a side note, scientific studies have showed that using a combination of vitamin C and E plus sunscreen enhances the protection against sun damage, which is why you should use this product in the morning if you choose to apply only once a day. 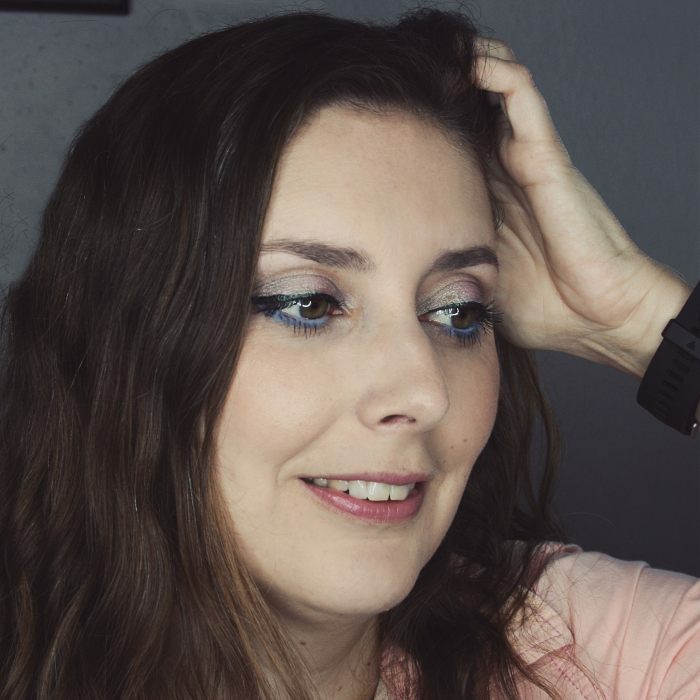 I use it every day in the morning (I use the brand's Hyaluronic Serum at night), but if you've never used vitamin C products before or if you have very sensitive skin, you might want to start using it every other day for a week first. I have added vitamin C serums to my skincare routine for a couple months now, and I'm definitely seeing some improvement. My skin is getting firmer, clearer, more radiant and generally healthier! 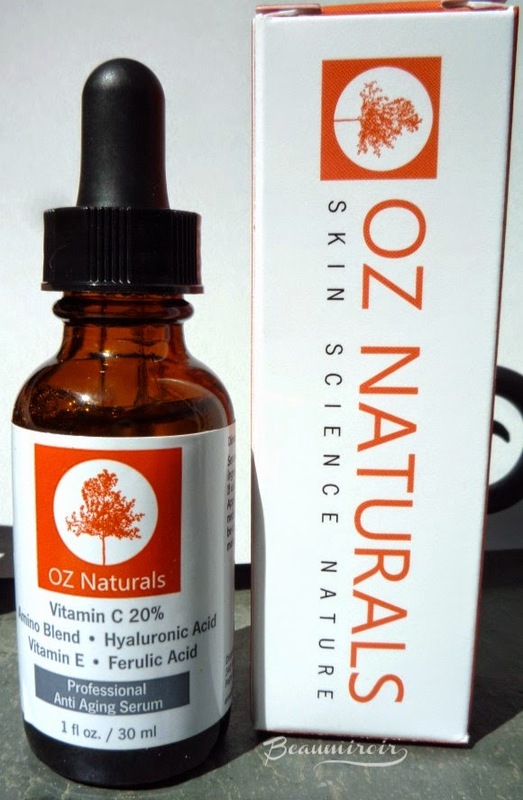 Overall: OZ Naturals Vitamin C Serum is a good anti-aging skincare products featuring powerful ingredients. 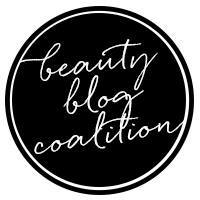 At under $23 a 1oz bottle, it's very wallet-friendly and another proof that you don't need to get into debt to have healthy skin! Where to buy: on Amazon. The product featured in this review was sent by the brand for consideration. I received no other compensation to write this post, which only reflects my personal opinion. This post contains affiliate links.